At its Innovate developer conference in San Francisco this week, eBay announced PayPal Access, a single sign-on technology that functions like OpenID, Facebook Connect, and other proxy identity mechanisms. But it comes with a twist: PayPal Access enables transactions. As with other single sign-ons, PayPal holds the master record of the user’s identity information, sharing only enough with the third-party sites to guarantee identity. If Facebook Connect makes it easier to share your web activity on your Facebook feed, the main benefits of PayPal Access appear to be simplicity (you don’t have to re-enter credit card or even PayPal information at each site) and security (as with PayPal, you’re not sharing any payment information with the merchant). The ambition behind PayPal Access is sweeping: eBay wants to deliver a web-wide experience comparable to Amazon’s one-click shopping. PayPal Access attempts to do this by integrating with browser functionality so that customers can see they’re already signed on. A PayPal purchase can be made without leaving the site. There are obviously huge challenges here for eBay. First among those is bringing a critical mass of merchants into the tent so that PayPal’s 97 million active users can rely on Access as an acceptable payment choice. Second will be the inevitable spoofing that goes on under PayPal’s name. How many emails from a “PayPal” source do you get in an average month? How many are really from PayPal? I would expect that never-ending struggle to continue at the browser level. At the Innovate Conference, PayPal showed off some other neat stuff, too, including a Shopping Showcase that revealed how the company will use some of the technologies it’s been acquiring this year. For example, using Where’s technology, PayPal wants people to check into stores before they arrive, not after. This lets merchants show discounts or special offers. If it’s a frequent destination — your regular coffee shop or grocery store, for example — the wallet will show the merchant your previous purchases or shopping list so they can offer discounts on those or related items. Zong’s direct-billing technology, which eBay bought this summer, will enable a service called Empty Hand. Don’t have your wallet or your phone? Key in your mobile number and a pin on the retailer’s point-of-sale console and you can access your PayPal account to complete the purchase. PayPal is also planning to offer new financing options. Currently, you can link multiple payment sources to your PayPal account (for example, checking account, Visa card, and AmEx) or you can use PayPal’s BillMeLater service. Soon, you’ll be able to change your mind after the fact. Wish you’d put that dinner on your miles card? Log on the next morning and switch the source. You can even decide to change from a full purchase to a payment plan, freeing up more cash to … buy more things with PayPal. As noted above, one of the challenges PayPal/eBay faces is bringing more retailers into its system. Toward that end, PayPal is taking its Shopping Showcase on the road to show what’s possible. Next stop: a pop-up store in TriBeCa that aims to stimulate interest among trendsetters and the retailers they buy from. This week’s New Yorker magazine features a report by Joshua Davis on Bitcoin, the virtual currency launched in January 2009 by the pseudonymous developer Satoshi Nakamoto. 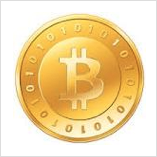 Bitcoin’s program has distributed more than 7 million bitcoins through a lottery process. Value rises and falls with perceived demand, reaching a high around $29 last June, though it’s down below $5 now. The article traces Davis’ attempts to uncover Nakamoto’s real identity. Internet security expert Dan Kaminsky outlined some of the skills Nakamoto must have: “He’s a world-class programmer, with a deep understanding of the C++ programming language … He understands economics, cryptography, and peer-to-peer networking.” Davis also noted that Nakamoto has impeccable English skills and tends to write in UK style rather than American style when in a hurry. Davis narrowed the field of likely suspects and eventually settled on Michael Clear, a post-graduate student at Trinity College Dublin, who — at least in the New Yorker report — offered a non-denial denial. After the story broke, Clear issued a much more unequivocal denial: “Although I am flattered that [the New Yorker] had reason to think I could be Satoshi, I am certainly the wrong person,” he said. Whether he is or isn’t, he has good reason to dispel the notion. As Davis noted, the U.S. government has a record of prosecuting people who create alternative currencies.